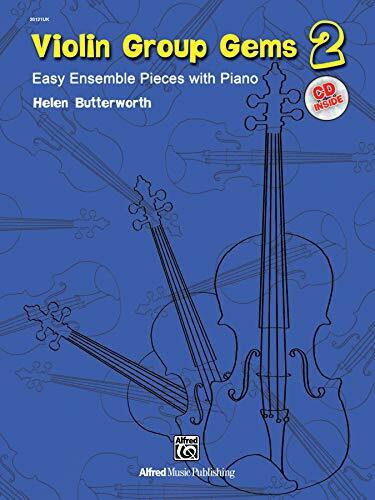 This second volume of Helen Butterworth's Gems series continues in the vein of the original collection, that of entrancing, original pieces designed for young violinists (with piano or CD accompaniment) in either a reading-based or Suzuki group lesson environment. Both volumes enable players of different levels to perform together; many of the pieces include parts for beginner, elementary, and more advanced players, and can be played successfully in different combinations. The CD includes a full performance of each piece as well as piano accompaniment tracks. Includes reproducible violin parts. Book 1 is available as item 00-35171.